Trust yourself. 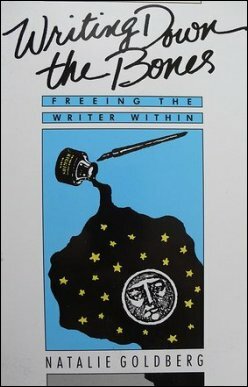 The guidelines laid out in both Annie Dillard's The Writing Life and Natalie Goldberg's Writing Down the Bones can essentially be summarized in these two words. One does not need Buddha, or Tantric yoga, or Jesus, or a parrot on his or her shoulder, or even a B.A. in English from an Ivy League school under the mentorship of a Pulitzer Prize-winning professor. If a person has the instinct to write, she should simply do just that, and have confidence in her own style and abilities. 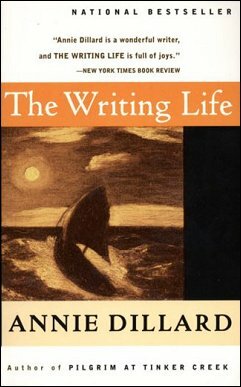 Annie Dillard's memoir The Writing Life is not so much a guidebook, but rather a scattered series of metaphors with a few useful morsels of advice baked into an overly decadent pie. Dillard uses many, many metaphors to illustrate her writing style; however, by the time that the reader fully understands the depth of her imagery, it feels like an opportunity lost that could have been spent more productively working on one's novel rather than deciphering the meaning of the author's far-reaching metaphors. She does provide some worthy advice, such as showcasing various brief examples of the process endured by other famous writers, but the reader must weed through a garden of flowery language in order to reach it. Dillard at once seems to be paraphrasing the Transcendentalist writings of Thoreau and Emerson through such offerings as "Aim for the chopping block," which appears to be a sly rephrasing of Emerson's "You must aim above the mark to hit the mark." However, she also paradoxically advises in an almost doctrinal manner (in the style of a true literary critic) how a writer must avoid aesthetically "appealing" workplaces and borrow from former successful literary models. This advice contradicts the theme of trusting one's instincts with regards to her craft. It also preaches conformity tied to the idea of adhering to literary conventions. Natalie Goldberg's Writing Down the Bones, however, is more consistent in its "Trust yourself" mantra. Motivated by the practice of Zen meditation, Goldberg writes for 195 pages about the necessity of allowing one's creativity to flow from them without inhibition or insecurity, simply trusting the instinct that led him or her to write in the first place. She accomplishes her thesis well, as her stories and examples allow one as a writer to feel refreshed and rejuvenated upon finishing. It is not a guidebook in the literal sense of providing frameworks and bullet points to copy, but rather Goldberg's aim is to restore confidence in the writer's personal abilities and style. A component of her advice lies in accepting what one might view as flaws in his or her writing, and spinning them into literary gold. This task is achieved not by magic, osmosis, or following a system of laws, but by simply trusting the quirks that permit one's style to emerge. For instance, Goldberg writes that it is preferable to seek inspiration from the works of writers one admires, and this is not a mark of unoriginality, as writing is a communal, tribal process. Unlike Annie Dillard, Goldberg does not insist that the only place to write is a dark enclosed space. Where one writes is for the writer to decide. I give The Writing Life 2 stars (of a possible 5). Trust yourself, not this book. I prefer Writing Down the Bones, showering it with 5 stars, having found it inspiring and empowering.